*Hey all- I'm not back from my blogging break, but I am sharing some posts I didn't publish on my blog last year, hoping you'll find them somehow and check them out! I hope you're doing awesome! 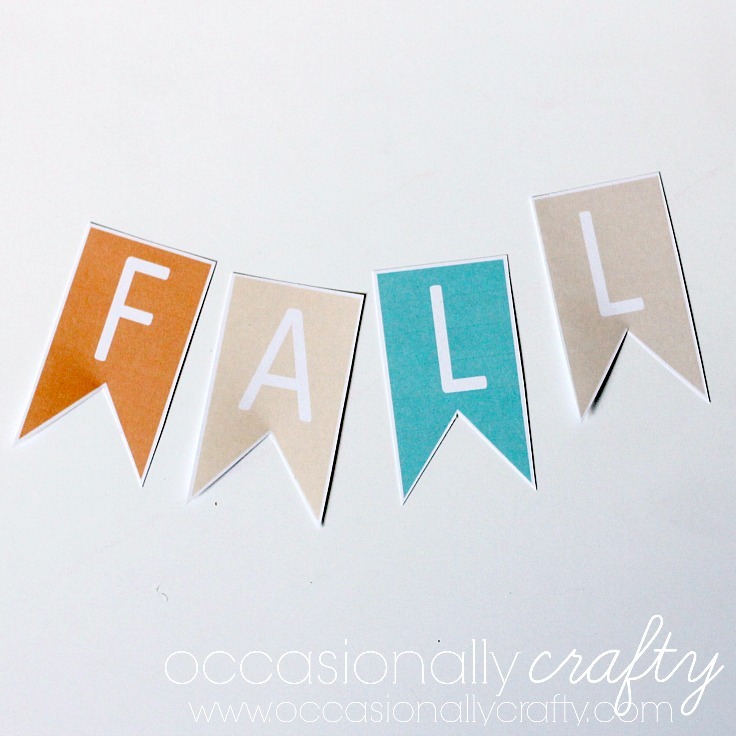 I think banners and buntings are pretty much the cutest thing ever, so I’ve created a fun one for fall just for you! 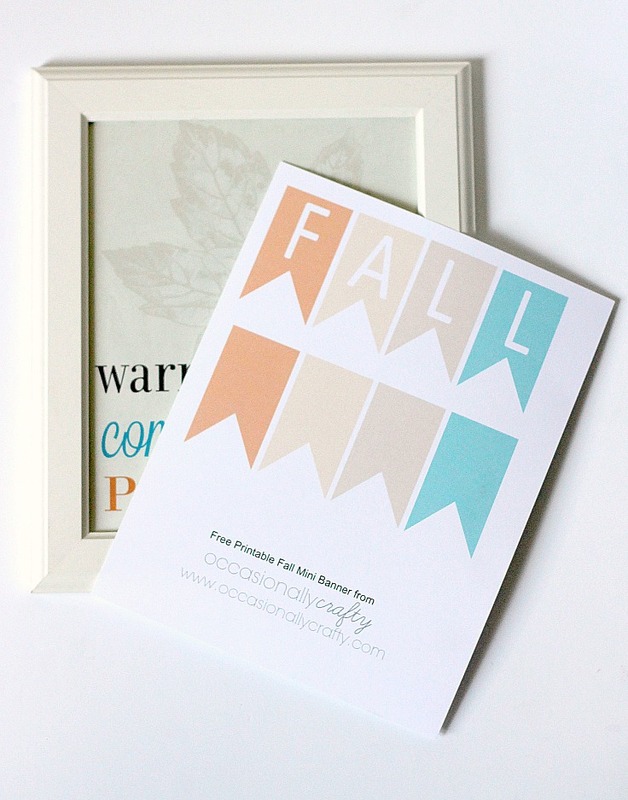 Download your free fall printable here. 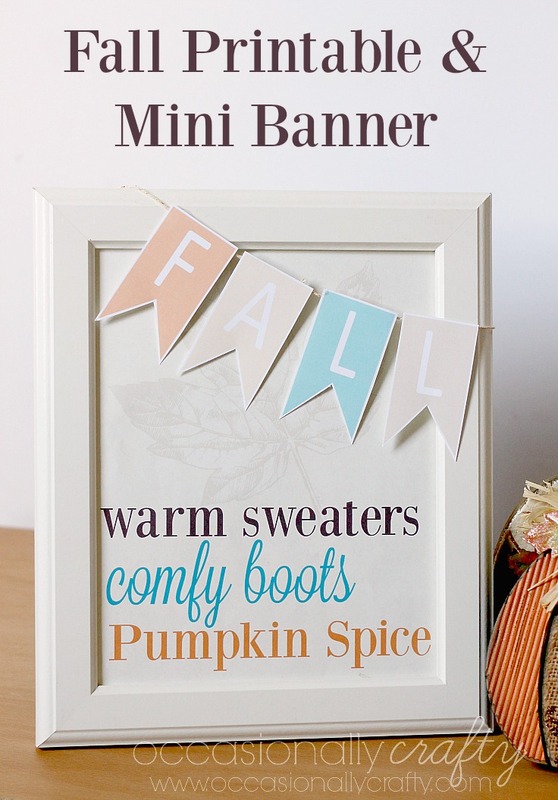 Print your fall printable and trim to fit your frame. Insert it into the frame and secure the back. 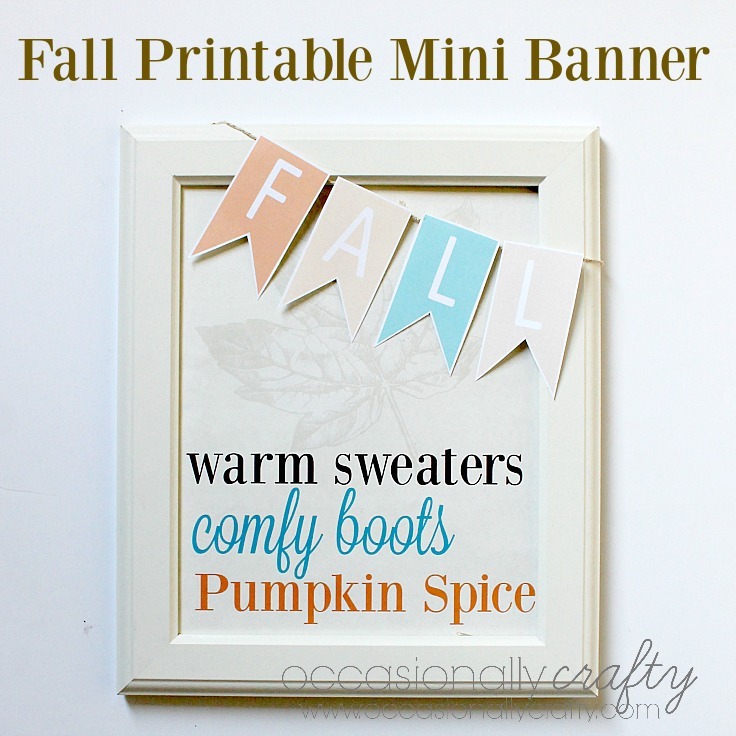 Print out your mini banner, then cut each shape out. Use hot glue to adhere your banner to baker’s twine, yarn, or even thread. Drape your banner across the top of your frame. I like to put mine just to the side a bit. That’s it! Now you have a cute decoration for fall. Use this idea to dress up any plain framed quote or picture.